Aimed at smaller businesses and private drivers, the new Arval ‘Re-Lease’ solution is said to be up to 20% cheaper than leasing new, equivalent models. 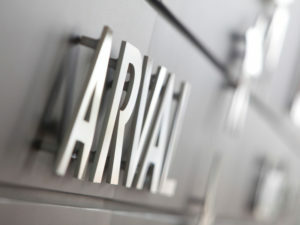 Vehicles are taken from Arval’s own fleet, have fewer than 30,000 miles on the clock and are less than 30 months old. Breakdown cover, delivery and road tax are included, tyres will have at least 3mm tread depth, and options include maintenance, extended warranty or Arval’s insured vehicle package, Total Care. Lease options cover 12 and 24 months, with mileage at 5, 10, 15, 20 and 25,000 per annum, with a number of options for monthly upfront payments. Brands covered include Audi, BMW, Ford, Honda, Jaguar, Mercedes, Nissan and Volkswagen, and prices start from £96.42 per month plus VAT for a Nissan Juke 1.5 dCi Visia. However, Elliott Woodhead, deputy general manager at Arval, explained that generally customers can’t choose exact models or specs as they would with a number of car and said this would make it hard for used leasing to become part of normal acquisition policy for major fleets.